A quiet oasis in the middle of urban Delhi, the Chattarpur campus lies just 1.5 km from Chattarpur metro station and 15km from the airport. 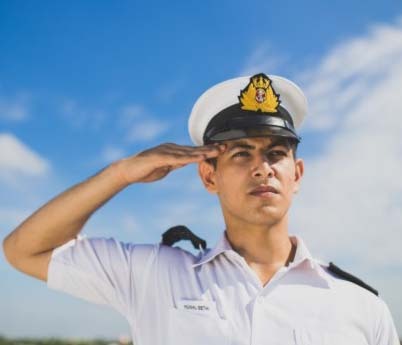 The campus provides an ideal ambience for our pre-sea training program and houses our international simulation centre with one of largest suites of marine simulators in India. The facilities at the presea campus extend beyond the typical classrooms and hostel facilities required for a residential training program. Workshops, labs, a learning centre and simulators augment the training providing a rich and interactive learning experience for our students. Football ground, Cricket, Volley-ball pitch, Badminton court, Basketball, Table Tennis and other indoor games. With a unique cylindrical 360 degree full mission navigation simulator, 2 x 180 degree navigation bridges, 4 mini bridges, 4 radar stations, a full mission engine room simulator, full mission cargo handling simulators, ecdis simulators and a navigation lab, students from entry level through to senior ranks and specialized training for pilots enjoy the latest technology in simulation solutions. Real-life training on simulators provides invaluable exposure to these powerful learning tools which assist in preparing seafarers for standard operations and also for crisis and emergency situations.